There are times of the year when a food truck owner simply has too much to do. You may buckle down and focus, or like many people, you may get overwhelmed and freeze up. Running a business, especially a food truck business, is hard work. From time to time, vendors working on their businesses, find that they hit a wall or they get stuck. 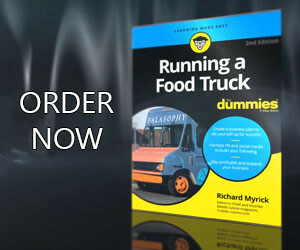 So how do you get your food truck business unstuck? Whether you have been in business for a year or five years here’s how to do it yourself. The next time you are stressed out by how much you need to accomplish, take these four simple steps. Make a list. Write down everything you need to do on a piece of paper. Include everything from coming up with a new inventory system to speeding up your ticket times by 2 seconds. Do the quick hits. Take 15 minutes, no more, to do the fastest things on your list. Use a timer to keep you focused. If you need more time to do a task, look at your calendar and setup a day or days that you can start these tasks. Take a break and repeat. Take a 10-minute break and start again. Before long, you’ll have crossed enough off your list to restore your calm. Please Note: Don’t add to your stress by taking a 10-minute break in the middle of a busy shift. This simple formula will help get you unstuck by helping your brain work in the direction of your true goals. Once you know what has caused you to get stuck, you can find solutions to prevent it from happening again. Vendors who are ready to get their food truck business unstuck have reached a point where it’s become unbearable to stay where they are. They’re more afraid to stay there than they are afraid of what comes next. This is a powerful feeling that you need to remember because it will help to keep you from getting stuck again.